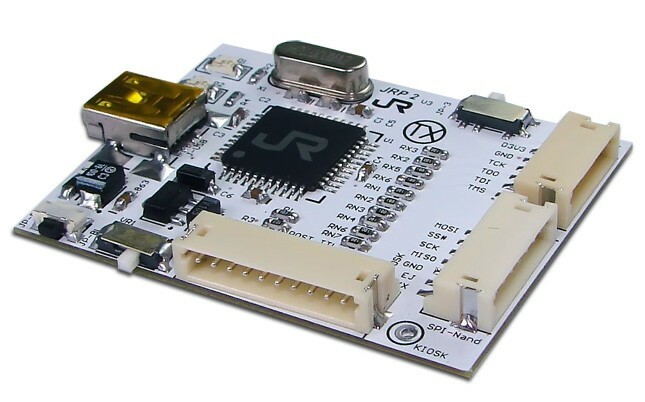 Development Boards : J-R Programmer v2, NAND flasher, USB - SHOP01MEDIA - console accessories and mods, retro, shop - One Stop Shop! 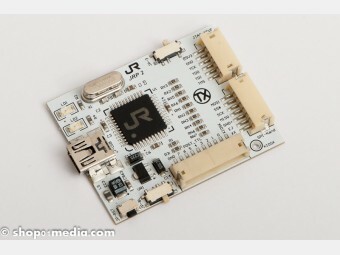 You can also order here a similar replacement programmer NAND Key. The new TX J-R Programmer V2 has been created to cater to the budget conscious and coded to work hand in hand with the latest version of the J-Runner app. 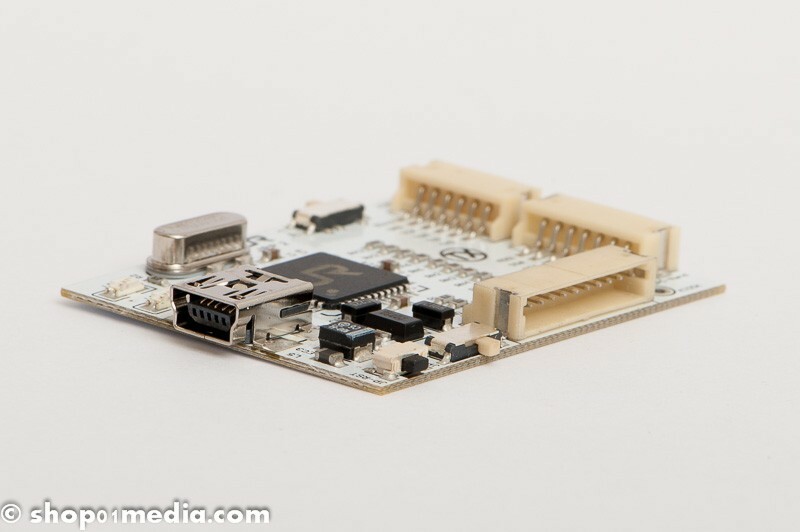 A third of the size of the TX NAND-X and optimized to run faster than any other USB-SPI based tool (Example Speeds: Others average 16M read 7m 20s, JRP v2 average 16M read 3mins), this nifty tool can fully read/write NAND over SPI, program CoolRunners or any Xilinx based RGH device over USB and also able to program onboard sounds using the TX SONUS 360 ! Complete with a CR JTAG cable so you simply plug n program without any soldering using the latest J-Runner App (needs to be at least Build 283). 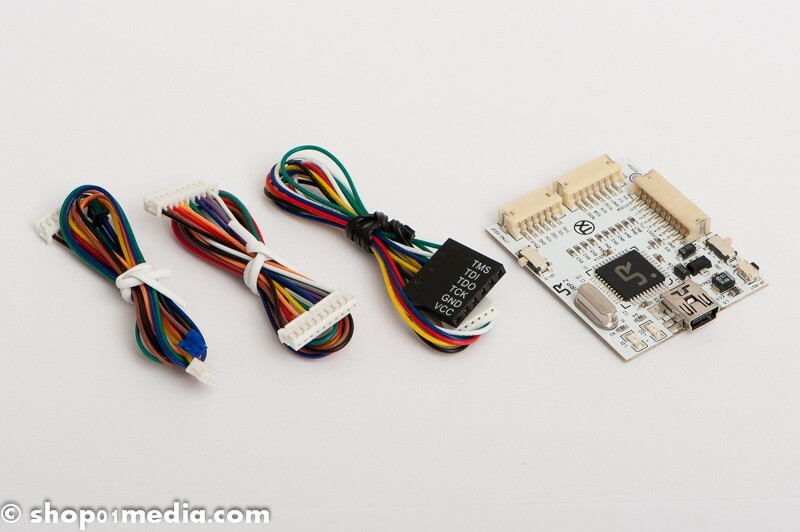 Also comes with NAND installation wires that have the connectors that are compatible with the NAND-X QSB boards. If you dont use the QSBs you can simply cut off the connectors and do a normal wires only install. 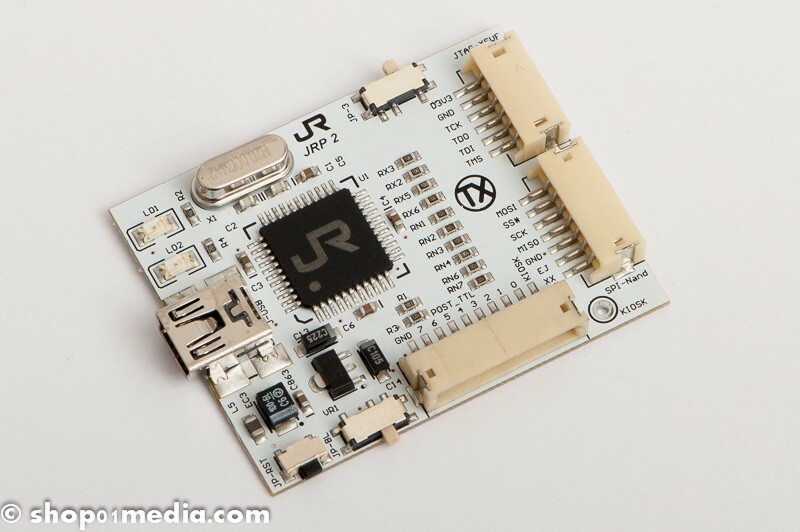 The J-R Programmer V2 is also fully upgradeable and can be programmed using the Xecuter X360USB PRO Update app. Onboard LEDs indicate Power and BootLoader mode. Affordable We Provide You With More For Less !